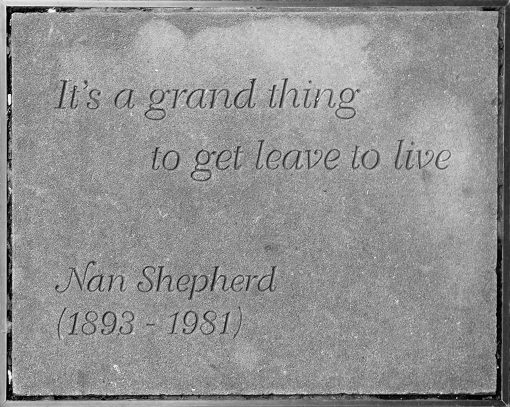 Firstly, thanks to landscape writer and all round literary top of the class Robert Macfarlane for introducing me to the extraordinary prose of Anna (Nan) Shepherd. He talked about her in his books Wild Places and The Old Ways (a Dabbler Book Club choice), but I didn’t take the hint. Then I happen to speak to him about his favourite books about wild landscapes and there it was: The Living Mountain by Nan Shepherd. Just 100 or so pages long and one of the most original, inspiring and profound reflections on the natural world I have ever come across. “Nan, who?” I hear you ask. Well, she isn’t a household name, I grant you. Born in 1893 in Deeside, she graduated from Aberdeen University in 1921 and spent the next 40 or so years teaching at a local college. In the 1920s and 1930s she wrote three well-received modernist novels and it’s for those that she’s probably best remembered. Her glorious multi-sensory exploration of the Cairngorms in The Living Mountain was penned in the 1940s and then stuffed in a drawer, lying untouched for more than 30 years. She’d been put off publishing it by a friend who thought it needed some maps and illustrations. A first edition went to print in 1977, shortly before her death. As I stand there in the silence, I become aware that the silence is not complete. Water is speaking…Water, that strong white stuff, one of the four elemental mysteries, can here be seen at its origins. Like all profound mysteries, it is so simple that it frightens me. It wells from the rock, and flows away. For unnumbered years it has welled from the rock, and flowed away. It does nothing, absolutely nothing, but be itself. Shepherd’s relationship with the landscape is deeply personal. The intensity of this relationship is what makes the book so remarkable, and at times moving. Often the mountain gives itself most completely when I have no destination, when I reach nowhere in particular, but have gone out merely to be with the mountain as one visits a friends with no intention but to be with him. The reference to the mountain as a man is not insignificant. Her relationship with the plateau is deeply sensual. She doesn’t just observe the landscape, she immerses body and soul in it. She becomes one with it, rather than remaining apart. Touch is the most intimate sense of all. The whole sensitive skin is played upon, the whole body, braced, resistant, poised, relaxed, answers to the thrust of forces incomparably stronger than itself. Cold spring water stings the palate, the throat tingles unbearably; cold air smacks the back of the mouth, the lungs cackle. Wind blows a nostril in, one breathes on one side only, the cheek is flattened against the gum, the breath becomes gaspingly, as in a fish taken from water – man is not in his element in air that moves at this velocity. Frost stiffens the muscles of the chin, mist is clammy on the cheek, after rain I run my hand through juniper or birches for the joy of the wet drops trickling over the palm, or walk through long heather to feel the wetness on my naked legs. Reading The Living Mountain for the first time left me slightly reeling. I had never encountered anything quite like it; it almost has the feel of the confessional to it. It’s a beautiful and profound description of a deep, multi-layered relationship that I know I will read again and again. It’s also a book that that has challenged the way I observe and experience my own natural surroundings. It stands alone on my bookshelf. You can buy The Living Mountain from Amazon. met on the trail and are sometimes described as loners. Reading, courtesy of the Dabblers, Macfarlanes book I was reminded of Gavin Maxwell whom I met, through a friend from Glenbrittle, at the Soay shark fishery, his attempt at commerce which failed. He had about him an aura, perhaps he was in that special place, what that was is a mystery, he seemed distant, detached. This may have been his special place or just the Lloyds overdraft at Fort William. 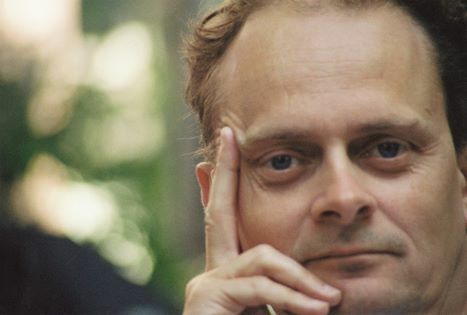 There exists another group of people whose communion with nature is even more intense and although they are unable to write as eloquently on the subject do give some insight, often shatteringly so. The Austrian Mountaineer Kurt Diemberger’s book The Endless Knot tells a story of desire and doom, the disaster that was the 1986 attempt, via the Abruzzi ridge, on K2, the attempt claimed the lives of 11 climbers. The mountain attracts two types, the glory seekers and those whose love affair with the high places is so intense it borders upon the religious, Kurt, and his partner Julie Tullis fall into the second category and had agreed to film the climb during the ascent, Tullis died, Diemberger survived, minus some stuff. Diembergers book, although lacking the descriptive eloquence of Macfarlanes is the more telling. These people are not only at one with nature, they have pledged their lives to it. I did meet Diemberger some years later, at the Trento film festival, he was by then a shuffling old man, there was however a light in his eyes, the reflection of those distant peaks. Wonderful comment Malty, many thanks. It’s the intensity of their communion with nature that makes the writings of Shepherd, Diemberger et al so interesting. I feel I’m missing out on something. When I sleep outside overnight I just feel cold, wet and miserable. What does one have to do to commune with nature, I wonder. Excellent! I’m looking forward to reading it. Blimey, that’s highly charged stuff. I’ve just ordered it on Amazon, where it’s the only book I’ve come across with a complete set in double figures of five star reviews.